As South Coast Hydrotherapy School is part of Springbok Veterinary Group, we constantly strive to deliver best practice. 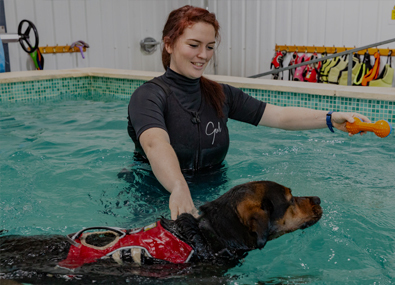 Hands-on training is provided at our own purpose built, larger than average, canine swimming pool with power jets, a large ramp and underwater treadmill. 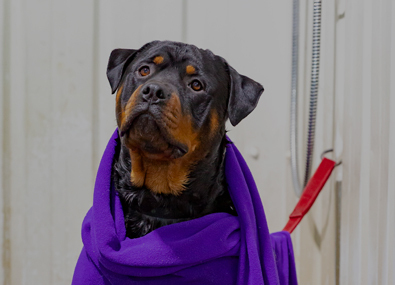 Lectures are delivered by experienced hydrotherapists, physiotherapists, behaviourists and veterinary surgeons, according to an accredited curriculum, under the capable principal, Mrs Jo Scott-Nicholas. We have strictly limited numbers on our courses as we believe in delivering quality not quantity and wish to maintain the friendly, personal touch and provide as much individual tuition to our learners as possible. In this way, we are able to guarantee a minimum of 40 hours practical hands on experience in the pool and treadmill, rather than just observing. We are also able to tailor our delivery of the curriculum to students individual needs. 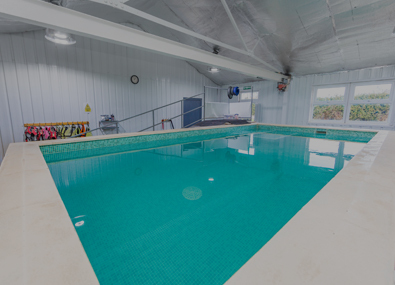 The premises consist of a purpose built hydrotherapy unit with a larger than average teaching pool, a treadmill, new classroom complex with study resources, kitchen and rest rooms, and secure outdoor facilities for gait and behavioural observation.